relieved machine base. 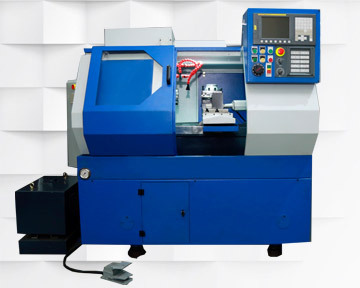 Machine spindle is mounted in precision bearings for higer accuracy. Main Spindle uses A32 Collets operated by pneumatic Cylinder to clamp baror blank. • No. of Axis : 2 Nos. Fully supported tool carrier gear box on Y Axis , aligned linear tool slide,6 rotary and 4 linear tools offer many flexible tooling options. C axis for accurate spindle orientation. 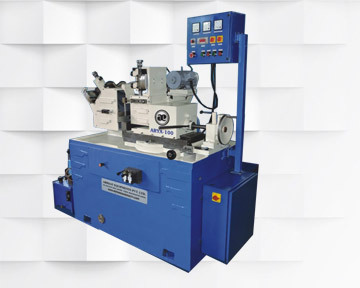 Abhijat Centreless Grinding Machine ARYA-100 are Sutable for Thru-Feed, In-feeed and from Grinding of Metallic Components. 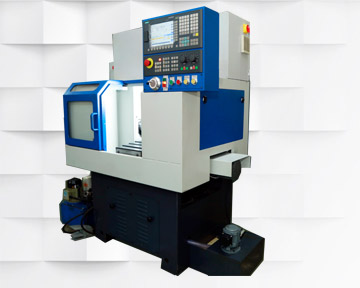 The Head Stock of Machine is mounted on heavy duty Graded Casting Base. Spindle is manufactured from alloy Steel with Special treatment for long life accuracy. 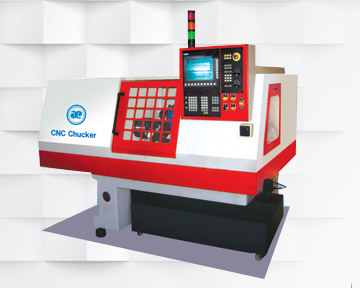 Regulating Wheel head is Swiveling table arrangment fpr fast and accurate taper Correction and Taper Grinding. 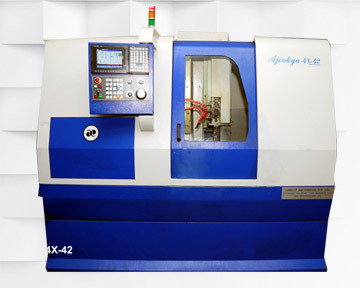 Main spindle uses A42 collets with replaceable135 mm 3 jaw chuck hydraulically op erated. Swing over bed 450 mm. Bar feed arrangement can be provided. Choice of SIEMENS, FANUC, MITSUBISHI controller.